Every Monday morning, volunteers work in assigned teams to count the previous week’s collection and prepare the deposit. Please call the Parish Office at 630-860-2975 and ask for Theresa Bero. This VIRTUS ‘best practices” program, is used to identify the most effective protocols, procedures, and methods to ensure the safety of children at all parish run activities. The program, which consist of a series of authoritative, facilitator-run sessions, is designed to help parishioners prevent wrong doing and promote “right doing” when interacting with our parish children. There is an occasional need for help in either the Parish Office or Faith Formation Office for special projects. Those interested must be available during day hours as your schedule permits. . Anyone interested in helping call the Parish Office at 630-860-2975 or Faith Formation Office at 630-766-1045. There is occasional need for help to serve food and clean up the kitchen for parish events. Most events are in the early evening hours. Call the Parish Office at 630-860-2975. 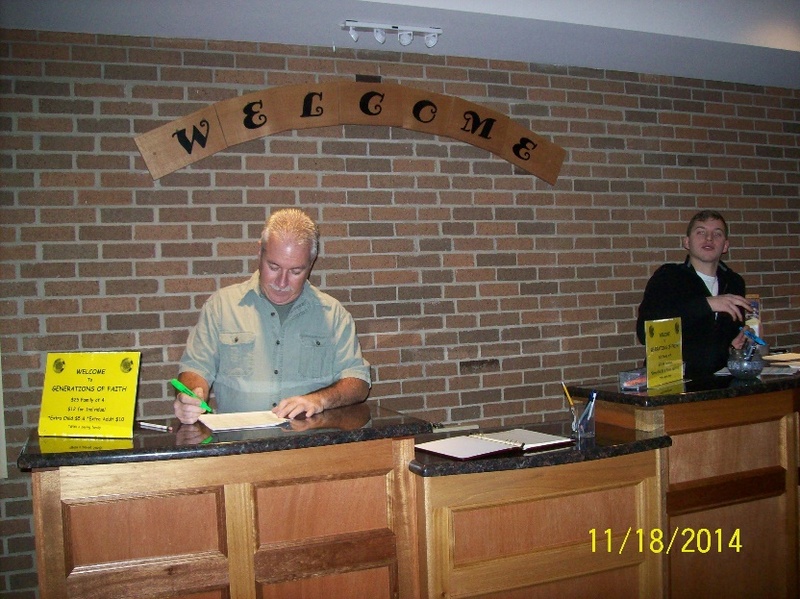 In order to be more inviting and hospitable to those who come to worship each weekend, we have added a “Welcome Center” in our narthex. Having a Welcome Center opens up the opportunity for a new ministry at our parish. We are looking for people who will come 15 min. early to the mass of their choice, to be scheduled monthly to stand at the welcoming center and answer questions, or give out requested forms or envelopes. We would be able to assign one person before each Mass and one person after Mass for each week of the month. If you are interested in becoming part of this new and easy way to serve our parish please call the Parish Office at 630-860-2975.